You can request a quote online with Rocket Printing with all your printing specifications, for fast printing services. 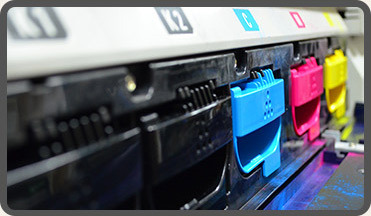 Our local experts can help you with all your printing requirements. Simply upload your file, select your options and send us your print order. Our Rocket Printing team is committed to ensure you receive premium printing. Download and view our latest range of printing services, products and more at Rocket Printing. View our useful and handy printing tips and requirements. Printing and Signage has come along way since Rocket Printing Pty Ltd was established in 1995 initially providing an offset printing service to the Pine rivers area. Since that time, Rocket Printing has grown and moved with the times with the introduction of cutting edge Digital Printing and Wide Format Printing technology to service the ever changing needs of business. Our range of products has been expanded to create a 'One Stop' Shopping Experience for all printing and signage needs. We now Design and Print: Retail, Commercial and Vehicle signage; including One Way Vision, Wallpaper and A-frames. Also, Outdoor Banners, Pull up Banners, Posters and Stickers are also a specialty printed on site. We supply an extensive range of Promotional Products, Magnets, Exhibition Walls, Table Covers, Teardrop and Feather flags to help make you stand out. At Rocket Printing we are able to assist with all facets of Design and Branding, including creating and refreshing new Logos, updating content and graphics for all Brochures, Business Cards, Booklets, Invitations, Promotional Goods, Stickers, Banners, Retail, Commercial and Vehicle Signage. Rocket printing is Servicing the local areas of Brendale, Bray Park, Cashmere, Strathpine, Lawnton, Petrie, Aspley, Taigum, Brisbane, Chermside, Albany Creek, Warner, Murrumba Downs, Kallangur, Dakabin, Narangba, North Lakes, Redcliffe and any surrounding suburbs of the greater Brisbane area. However, Rocket printing also has the capacity to service orders to be dispatched anywhere in Queensland, interstate and overseas. For further information on how Rocket Printing can help your business, please contact us to speak with one of our friendly team members! Just wanted to thank you for the excellent work last week and delivering the job on time at short notice. I managed to get the mail out to Aus Post on time this morning, so much appreciated. Thank you so much for dropping those WITH COMPLIMENTS SLIPS in for me – I really appreciated it! They were wonderful! Just a quick note to thank you for all your efforts with our recent events, and for getting all our printing done on time despite some short lead times! The quality was fantastic and everyone who received a copy was very impressed with the look of it. We look forward to working closely again with you into the future. Hi Rod, I wanted to let you know how pleased we are with the excellent work you did for us! The business cards look so professional and we got them on time. Looking forward to making business with you again!